One of the most popular theme-leisure parks in France, Futuroscope offers a unique experience and a wide range of events to visitors of all ages - enjoy it on a one-day visit, or treat yourself (and your family!) and stay overnight for a two-day action packed experience - in all there are more than 25 'experiences' to enjoy. Several of the events have an educational message (the 8th continent is a journey to get rid of a large amount of waste in the Pacific; Sea Monsters is a trip back to the time of the dinosaurs) - while others are just plain fun! The gigantic images on the 1000 square metre dome screen take viewers deep into the Louisiana heartland. When the Mississippi was diverted, New Orleans was able to spread out into these zones, but doing so has resulted in massive coastal erosion. The damage to its bayous and wetlands, once natural hurricane defences, has been such that New Orleans finds itself at increasing risk from cyclones. Hurricane on the Bayou is a thrilling story and a musical celebration of New Orleans that teaches the young about the importance of preserving wetlands and ecosystems. The images on the 650 square metre screen in 'Brush with Genius' offer a totally new look at Van Gogh and his work, and the film’s stunning graphics are a moving journey to the sources of the artist’s inspiration. The way the IMAX technology gives young visitors a new perspective on art makes the film an original sensory experience. Darwin’s theory of evolution throws light on how species evolved in the past, and is the inspiration for Futuroscope’s imaginative look into the future. Our young visitors climb aboard expedition vehicles for an interactive augmented-reality adventure, where, kitted out with camera-binoculars and sensor bracelets, they will meet and interact with animals that could be roaming the planet millions of years from now. 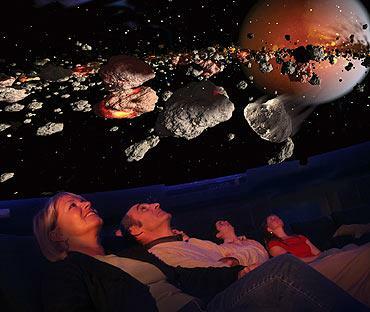 This spectacular, immersive and instructive show from the American Museum of Natural History, narrated by Robert Redford, takes young visitors on a breathtaking journey through time and space to witness the cosmic smashes that shape the universe. The scientific images shown on the dome screen were taken by NASA satellites and modelled to simulate cosmic phenomena in 3D. 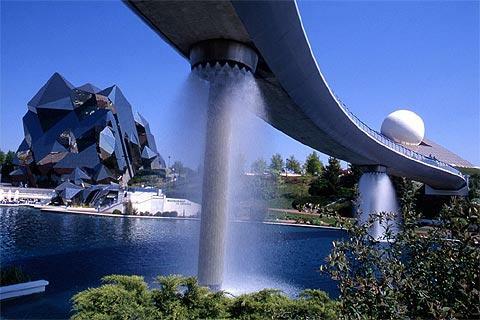 Futuroscope is in the Poitou-Charentes region near Poitiers, close to the Atlantic coast and centrally situated for visitors to western France being acessible from much of Poitou-Charentes, the western Loire Valley and the northern Dordogne region. Day trips to Futuroscope by TGV from Paris are also possible (80 minutes on the train). Information above kindly supplied to france This Way by futuroscope. 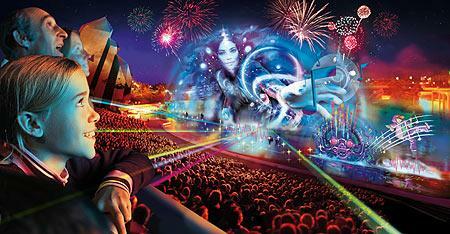 Find more information at the Futuroscope website. 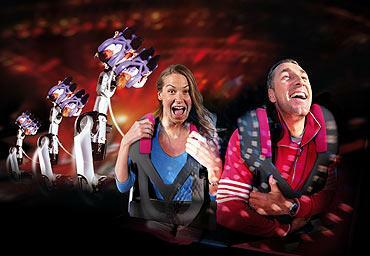 See Theme parks in France for more amusement, leisure and theme parks.